The Das Park Hotel rooms are small, but are safely secured by a code-lock door, and provide a comfortable two-person bed, blankets and sleeping bags, storage for your clothes and backpacks, and a small lamp for light. The most unique part of this hotel is that you reserve your room, and pay as you wish. Yes! You pay what you want to pay for the room. 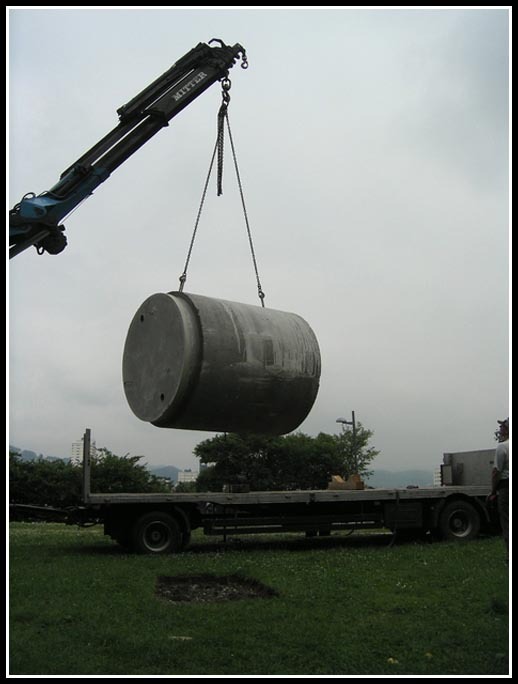 For toilets and showers, guests can visit a nearby “petrol” station to settle their sanitary necessities. Restaurants for breakfast are just a short walk away. The hotel is open only between May and October. 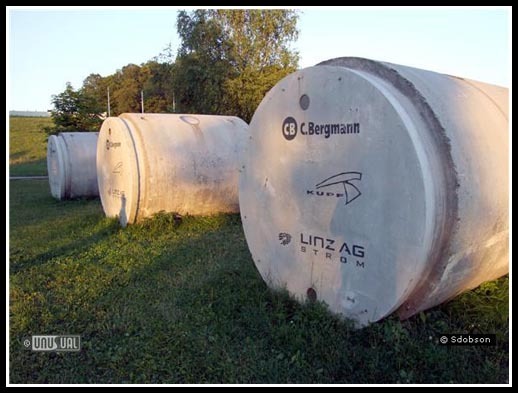 These 2 meter x 2.5 meter cement tubes are located on the lovely green grass of Rodlpark, in Ottensheim, Austria, where the annual Open Air Ottensheim music festival happens (making them a perfect place for concert goers to crash). According to the Das Park Hotel site, check-out time is at 12 noon. If you sleep past your check-out timing, you might end up in another part of Austria. 🙂 Just kidding! Very creative idea(! ), but doesn’t it get cold at night ? .-= Hypnosisstories´s last blog ..A Look Into Hypnosis: Is It Fact or Fraud? =-. These little pods look cool. 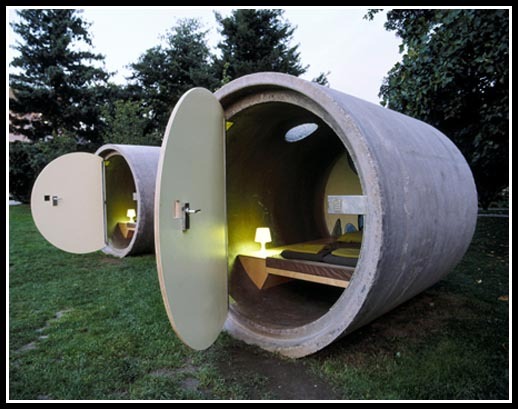 I’m sure it would attract visitors just for the novelty of staying in a drain pipe, lol. See the travellers castle for Cheap accommodation in cairns. Its a great idea and cheap, But doesn’t it get cold at night? It’s a great start for new ideas for different types of motels. This way it can cut down the price to pay for supplies and save the trees. 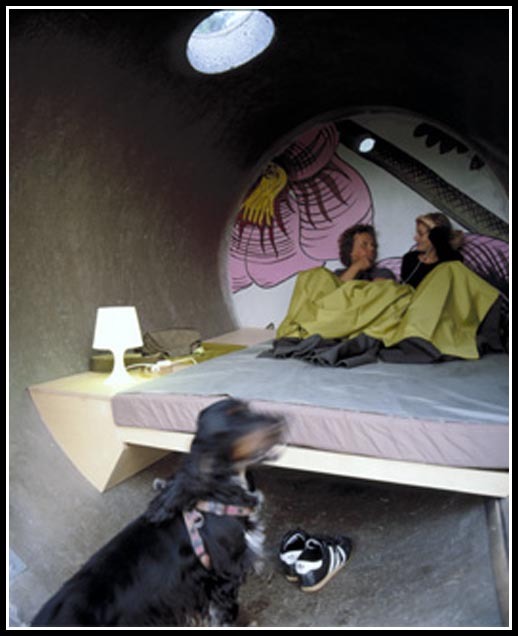 i guess it comes with heating so occupants are kept warm at night – definitely a very eco-friendly hotel option. .-= linjie´s last blog ..Fashion Bazaar Project Part II =-. Reminds me of the hotels in Japan. Like the idea would be fun for one night. Kind of like camping but with out a tent. What do you mean by saying “you oay what you want”. How can the government maintain it, then? What a great concept! Not very comfortable, but an excellent choice if you’re looking for a unique experience instead of luxury. Might leave you feeling a little drained!! “my Wife” – ashley, i thought you are the wife :-0 – the inside looks quite cozy plus its pay as you like – why not for the unique experience. The theme looks great, and it looks quite comfortable and cozy inside it. I want to go here during holidays for an unusual experience. This looks fantastic, but there seems to be only 3 rooms. I bet they’re booked up! i bet they are – further you pay what you feel is right; it could be a bargain for some travelers! hello, boss i am impressed with your project, and want to make this type of project in my country ( INDIA) . i live in a place named Rishikesh situated in the bank of holy river ganges, situated in the mountain himalays. In this place tourist from european countries, and other continets were came in huge for living 1 to 6 months for learning Yoga , Meditationel , Spa and Ayurveda . and tourist want affordable hotel in this city . so i am planning to make this type of project in my city. so i want your help, their is land shortage in this city buti have a land for making this projet, and here raw material in very cheap, can you tell me what”s the size of pipe.